We want our neighborhoods to be pleasant communities where we can live, work, play, and raise families safely and happily. However, not all communities live up to that standard, including mobile home communities. And if your community is among those falling short of the mark, you may be looking for ways to bring it around. That’s why today, we want to talk about mobile home park manager duties and how you may be able to use your administrative capacity to improve your park. Most people probably know some basic things one should not do or allow in a mobile home park. However, residents may simply do them anyway whether they’re supposed to or not. When it comes to unsavory activities and environments, maybe a location you’ve seen in person comes to mind. If it doesn’t, though, consider the case of a Murpysboro, Illinois mobile home park called Mobile Ranch. While making the news could be a good thing from the perspective of a park manager, sometimes it’s not positive. When your mobile home park is somewhat run-down and people have raised concerns about meth cooking and drug dealing, that’s not good press at all. And it’s not a good community either. It seems renewal for the Mobile Ranch community may be in the works. Still, it would likely be better for any mobile home park manager to step up as soon as possible to try to prevent this kind of situation before it gets started. The owner of the company that took over that particular park made a good point when he said that they’d rather have a home sit empty than have bad residents in it. Perhaps that echoes the old saying “an ounce of prevention is worth a pound of cure.” Good residents are good for the manager and good for the community. What are some things you’re likely trying to avoid when it comes to tenants? For one thing, as we mentioned above, drugs are an undesirable element. Of course, you don’t want fighting either – whether between residents or involving residents and visitors. Gang activity is another concern. And as in the case of the story we mentioned above, you certainly don’t want people selling property in your park that isn’t theirs to sell. That kind of fraud is horrible in a mobile home park and anywhere else. Imagine laying out thousands of dollars for a home only to discover the seller is gone and didn’t even own the home himself! Littering, trash, and general messiness are other issues you want to keep out of your mobile home park. You want tenants who care about the appearance of their community. People who are invested in and who care about what their home looks like. Plus, you want to maintain a place that won’t turn off prospective residents. As an example, let’s say a family with a few little kids decides to take a look around your park in case they want to live there. They see trash strewn around – whether it’s old furniture or garbage bags that haven’t made it to the dumpster. Additionally, they see trailers that look like they should be destroyed or some that already are partly destroyed. Clearly, that isn’t the type of environment you want to shoot for. And you’re willing to work to make sure this isn’t what your mobile home park looks like. As the park manager (or the person who hires the park manager), take responsibility for the situation. Make sure you understand laws and local ordinances that apply to your park. Plus, make sure you understand the park-specific rules. Even if you drew them up yourself, review them from time to time to refresh your memory and to see if you need to make changes. And make sure that members of your management team know and understand them too. As far as rules and regulations go, if you need a refresher course, doesn’t it stand to reason others may too? 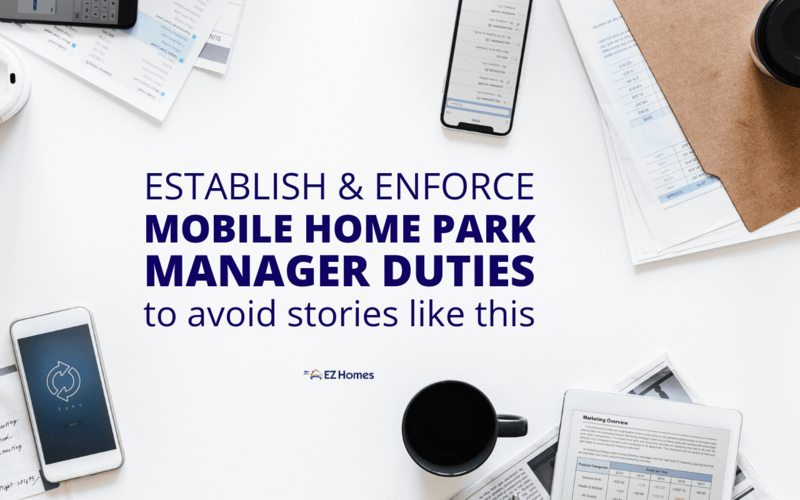 Whether it’s your employees or park residents who need to be reminded, consider it one of your mobile home park manager duties to get the information in front of them. A class or meeting could be an option for team members. And an informational meeting could help you remind residents of the do’s and don’ts. Also, consider sending out reminder flyers now and then. Another way you can try to make your park safer and better for residents and everyone else is being available when needed. Be sure people know how to contact you. And if you, as the mobile home park manager can’t be available, set someone up as a backup who can be. Let them field issues, then reach out to you if necessary. Let people know what they should do if they encounter problems. In some cases, they may need to call, email, or text the park manager. However, be very clear that you are not a substitute for calling 911 in case of actual emergency or calling local law enforcement to report illegal activity. Of course, you might enjoy feeling like you can heroically come to people’s rescue. But, when it comes down to it, don’t try to take on a job that should be handled by local law enforcement or other emergency personnel. This may also help them feel like you’re truly paying attention and care about their problems. Also, politely ask questions to get to the heart of issues. And let people know how you plan to handle their concerns. Among your mobile home park manager duties, the idea of enforcing the rules might seem obvious. In fact, rules may not do you much good if you don’t enforce them. Outline a clear, fair system for dealing with noncompliance. For instance, if someone breaks a rule, a first warning might be in order. For a second or third issue, you may need to move beyond a warning. One way to build positive relationships with residents and to get work done at the same time may be to help out yourself. Whether you schedule and participate in a community workday or simply offer to assist with one resident’s task, show them you want to help. Again, this may seem obvious. “I think I’ll try to hire a bad manager,” said no one ever. If you won’t be taking on the mobile home park manager duties yourself, look for someone who will take the job seriously. In other words, hire well. Ask a prospective manager about previous experience. Have they managed a mobile home park before? If so, what were the successes and challenges they experienced? Consider checking with previous employers, if possible. 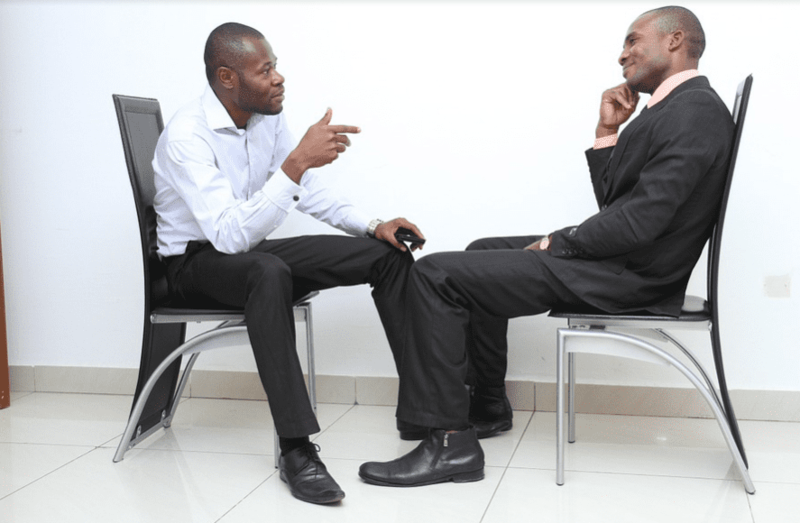 Try to get a feel for the applicant’s ability to interact well with people. Do they seem to be a good listener? Can they take action to fix problems? Consider how well you think they’ll be accountable to upper management. And how well they’ll follow through on plans and follow up with residents. On top of this, make sure the manager understands their responsibilities and also the consequences for not performing them. Remember that you may want to contact a lawyer when entering into a legal agreement like an employment contract. Whether you’re trying to fix problems you already have or prevent problems from occurring, now is the time to get started. Why wait? As you try to fulfill your mobile home park manager duties, be attentive to the information you gather from residents. Try to understand what kind of management would be helpful to them. Learn what issues they have had in the past with park managers. Also, think creatively about how you could glean more from residents and serve them better. Perhaps you could hire an app developer to create an app just for your mobile home park. Then, use it to get feedback from residents about problems and positive experiences. Alternatively, you could use an online form to get residents’ input. You want things in your park to be done according to the law (and to be done safely, too). In other words, you want to Make Sure Your Manufactured Home Park Is Legal, Safe & Compliant. This reminds us of the concept we talked about earlier – responsibility. As a mobile home park manager, take the situation in hand and make sure you operate legally and safely. Check before you go ahead with changes and document everything you do thoroughly. Also, be aware of what kind of inspections you can expect from government agencies. Plus, get a handle on any permits and permission you may need. For example, you may need a “permit to operate” and you may need your fire hydrant tested and certified. Better to determine what is required of you and do it proactively, than to find out later that you have to bear consequences for making mistakes. Making your mobile home park a better place to live can involve more people than just you. Who else has a stake in helping the park be a great environment? The residents, of course! Get them in on the action. They may have valuable perspectives to offer. Not only may they have insights you don’t, but they may also have solutions you haven’t thought of. One thing you can consider is calling a community meeting to discuss problems and potential responses. Be sure to have a moderator to keep things running smoothly. Plus, you may want to task someone with note-taking responsibilities. This way, you won’t lose any good ideas because you’re busy running the meeting. You can even use your community blog or newsletter to disseminate conclusions you come to. Another thing you could do is start a tradition of having a periodic community clean-up day in your park. Make it a fun event and something to look forward too. Maybe even complete with a barbecue or an ice cream social. This could be a good way to get work done and create a community spirit. While it’s great to be thinking about fixing today’s problems and preventing tomorrow’s, remember to think even broader than that sometimes, too. Think about where you want your mobile home park to be in 5 years or even 10. And consider who is affected by the park. It’s probably more than just you and the people who live in it. Attend a seminar for small business owners. Take a class on how to use social media to promote your business. Join a local small business group and share ideas with others. Create a “best practices” manual of everything you’ve learned from running your park. This could be useful for training other members of your team. Plus, it could get you thinking more deeply about the process of running a park. If your mobile home park is a business venture, of course, you’ll be thinking about keeping it financially solvent and profitable. Plus, you want to consider the needs and wants of the residents, too. But even beyond those two parties (your company and your residents), give some thought to how your park affects others, too. Try to cultivate a good relationship with your local government. Perhaps, attending local planning committee meetings or other meetings could help you network with people who care about the community at large. Plus, attending local events may be a good idea, too. Try to understand the perspectives of the larger community in which your community resides. Be attentive to the concerns of homeowners or property owners near the park. And listen carefully if they bring issues to your attention. Neighbors might find it problematic if the park becomes run-down. Or they may be concerned when rumors of illegal activity make the rounds. A loud environment could also be offensive. Use your mobile home park manager duties to shape your community into a better place to live. And now that you’ve started thinking about ways to do that, don’t stop. As more ideas come to you, jot them down. Then, take time to revisit them later and implement the best ones. And if you need something positive to think on, head over and read How Mobile Home Park Owners Are Making A Difference!